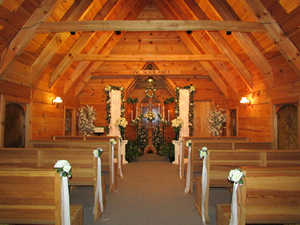 Discover the romance of the Great Smoky Mountains when you say “I do” in the quietness of your cabin, or let the babbling creek or the rush of the waterfall provide the background music for your ceremony. There are many places of stunning beauty, that will provide the perfect setting as you begin your lives together. 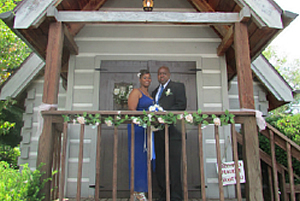 A Light of Love Wedding Chapel is a local, family owned and operated Wedding Chapel Ministry. It is the Goal of Rev. Dr. Jack Roberts, his wife Shana, and daughter, Anne Marie, to make your wedding day as special as you always dreamed it would be. Our Mission is to offer Affordable yet Beautiful Wedding Ceremonies.